This is for an XS400 I stumbled into awhile back. 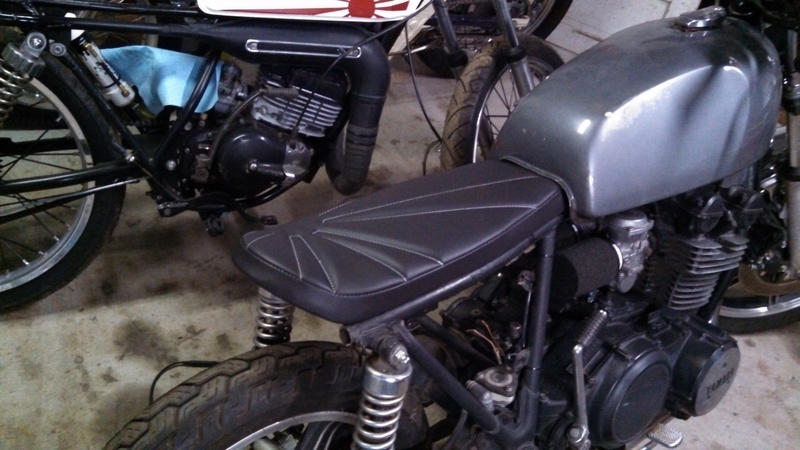 Just another practice seat until I get good enough to do my RD120 or similar serious builds. 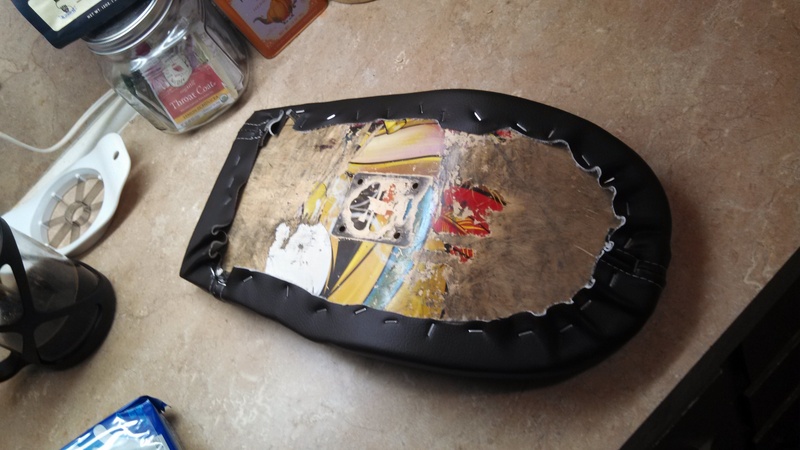 The seat pan was a skate board deck! 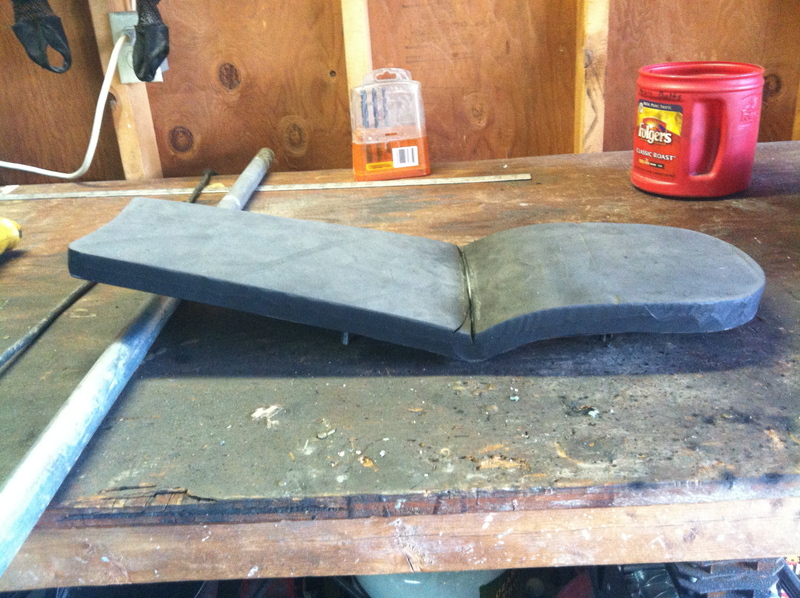 First I cut and adhere some of my foam to the pan. Then I shape it with my angle grinder (over kill much? )…Hey it works okay? 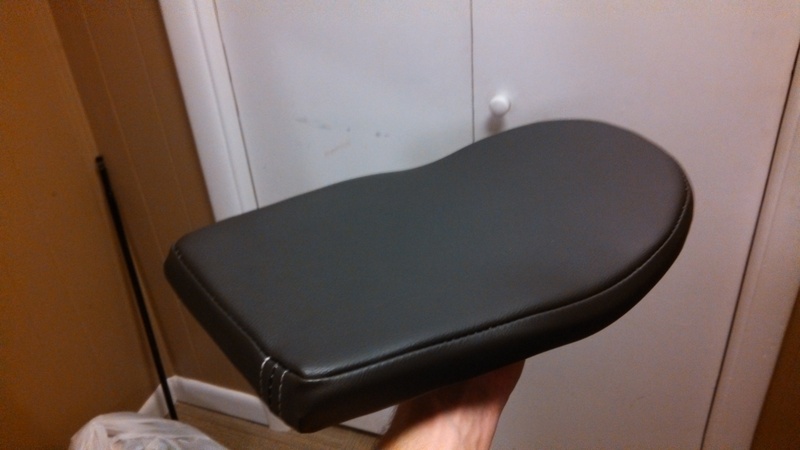 Then I upholstered it with some scrap material I had left over. Just enough to do a simple little job. I’m improving a little with each seat. It is so much fun I can’t wait to do another one! 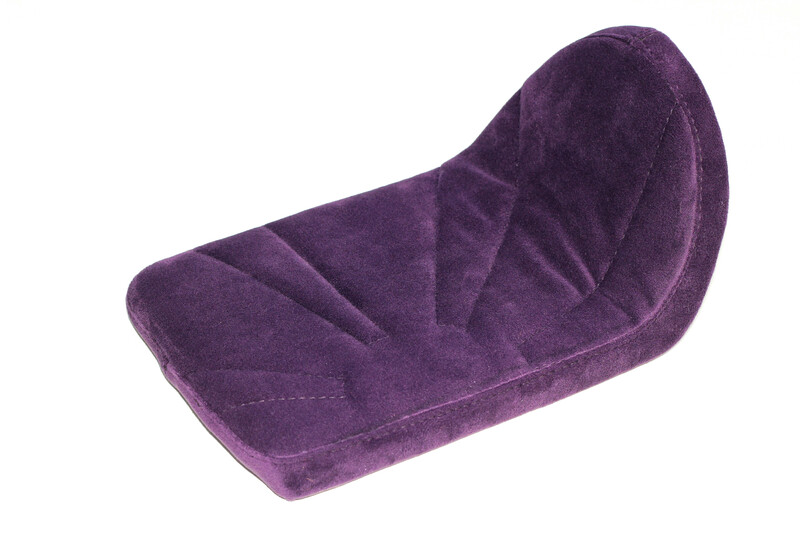 Round #2 on seat #1. 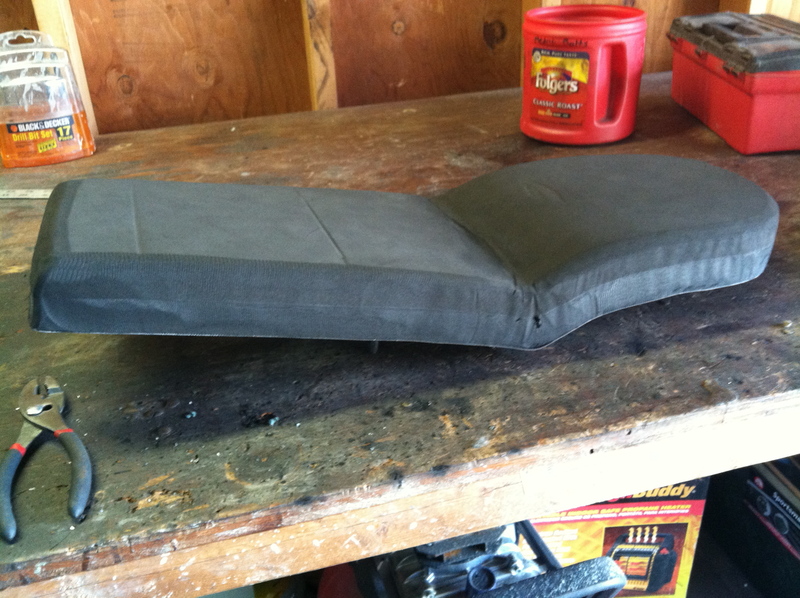 Here is what it took for me to make the foam part of the seat. 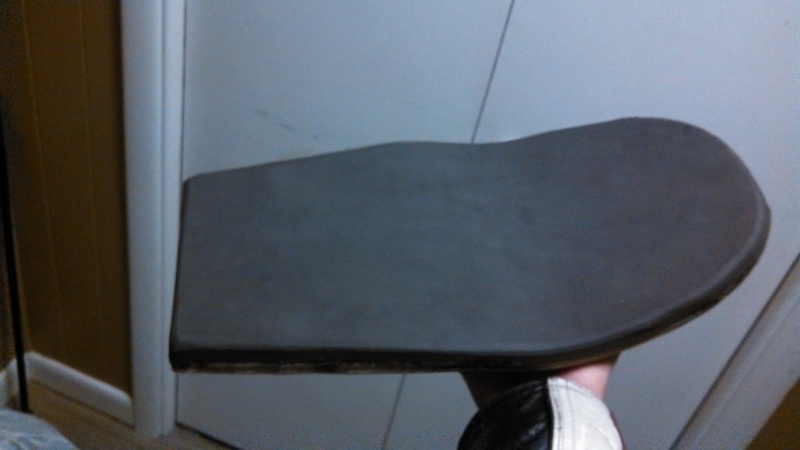 Then I cut and shaped the 1″ firm foam for a base layer. Notice in the center I cut a “v” in the foam and glued it together so it would make the sharp curve and hold in place. 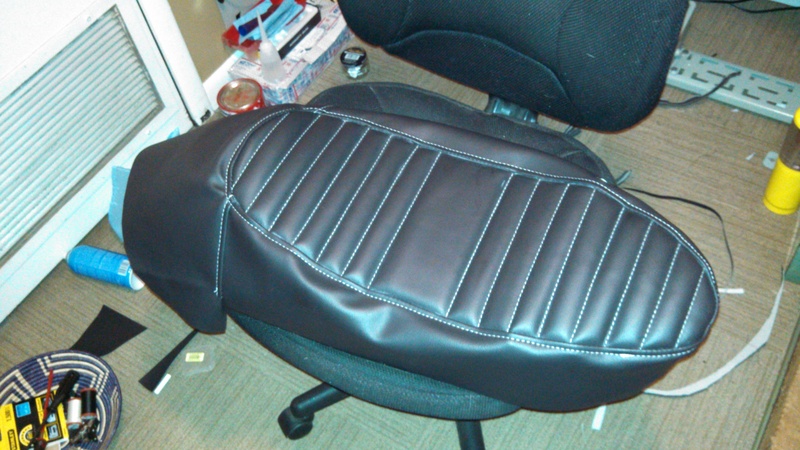 Once that layer cured, I glued a second, softer 1″ layer on top of that, for comfort and to make the seat the desired height. It took lots of delicate angle grinding and shaping to get it just right. At this point I haven’t decided if I’ll do a fluff layer on top for the pleats. 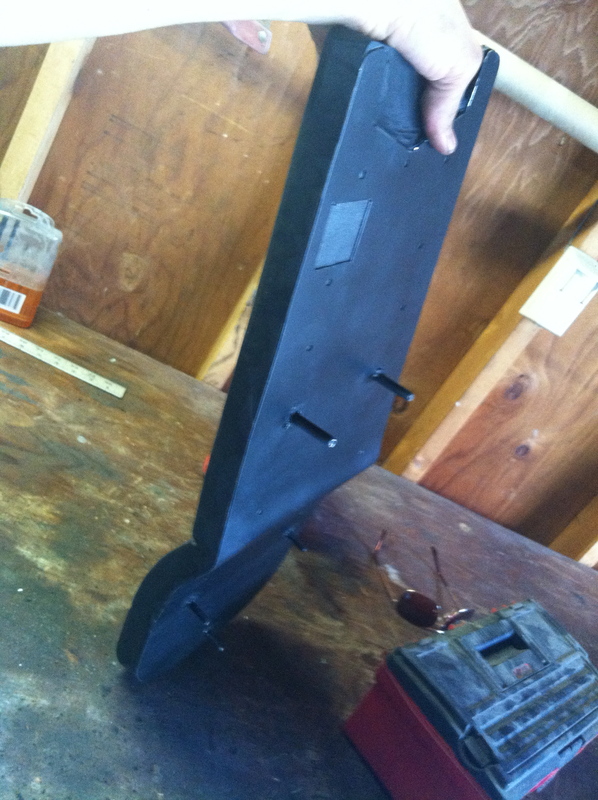 I may just glue strips to the underside of the upholstery and see how that works…but we’ll see. Rough fit on the bike, just to get an idea. 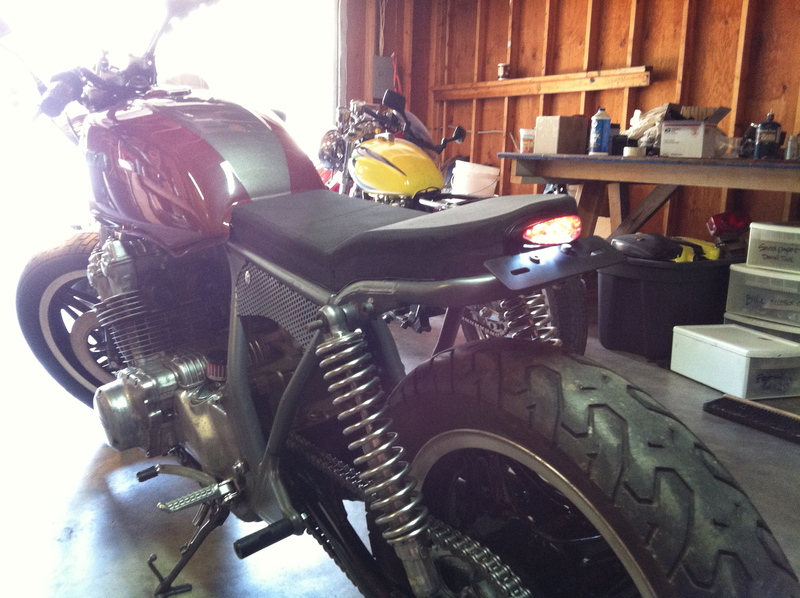 And below you can see the tail light I also installed last night. Now it’s really taking shape! 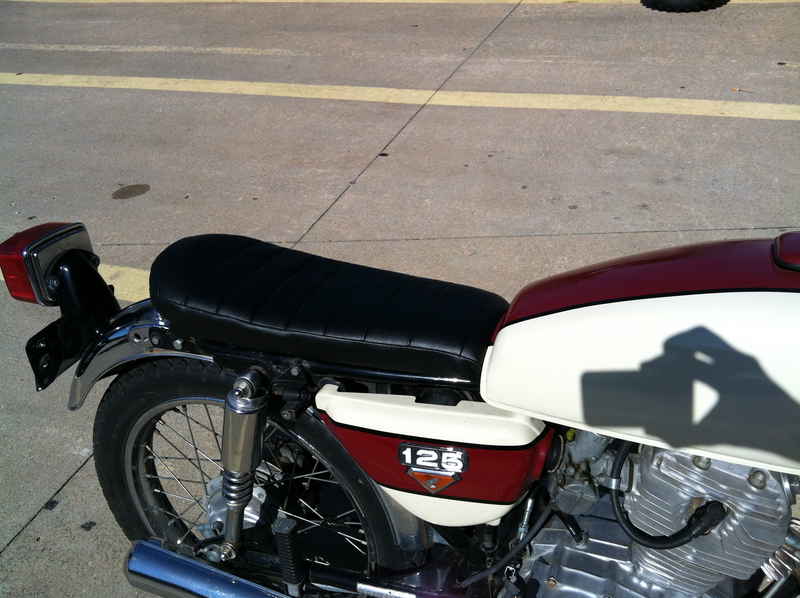 I have on order 20 new main jets so I can tune the carbs perfectly. Stock main is a #102, I ordered sets of #105, #110, #115, #120, and #140. I’m pretty sure #120 will be the right one but every bike is different. When they come in we’ll see if she runs! 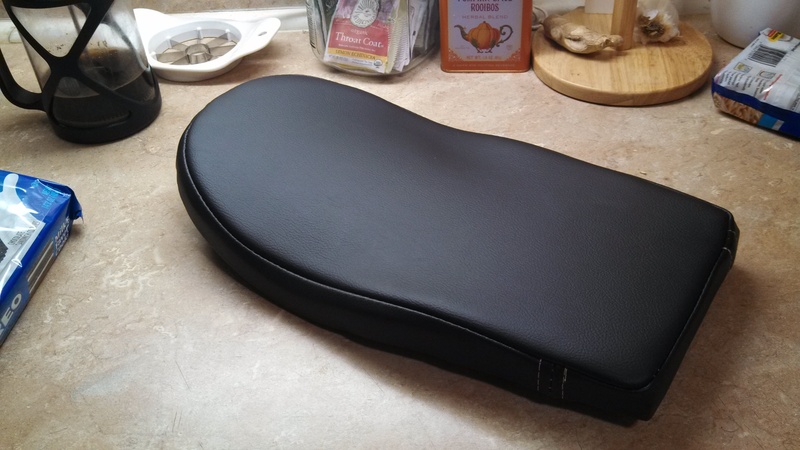 I’m going to my mom’s now to start upholstery. So I decided it was time to give my daily rider little pip some much needed attention. 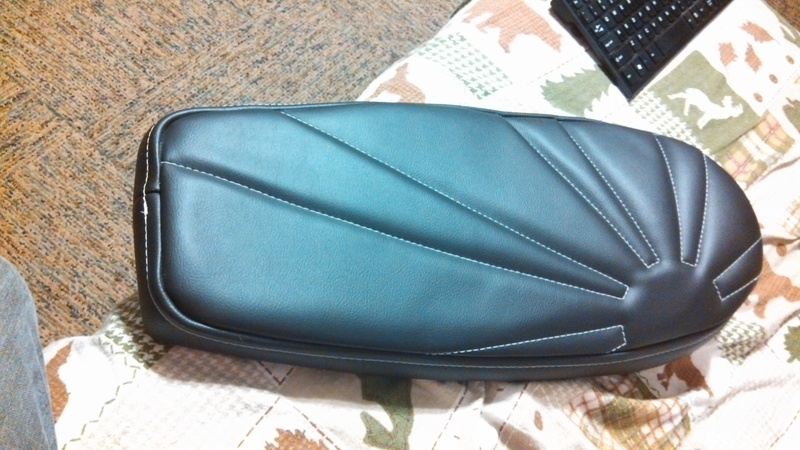 For starters, the seat needed better padding and nicer upholstery. 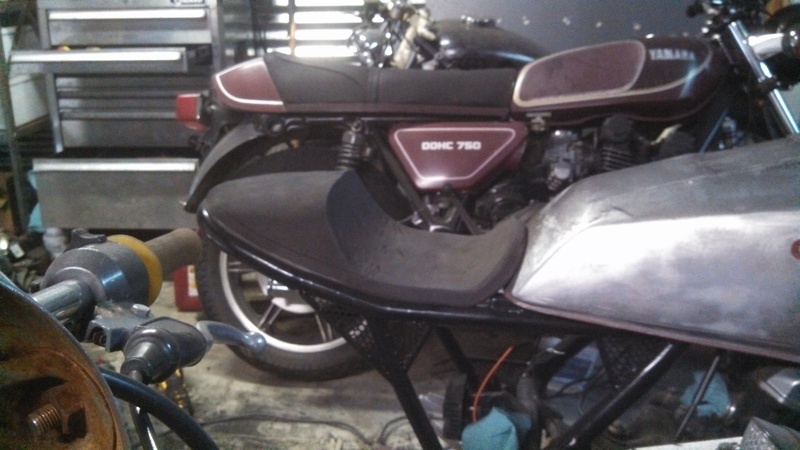 Since I am about to be doing the CB750 seat, I figured it would be good to get some practice on the 125 to see if I can make a seat nice enough for the 750. 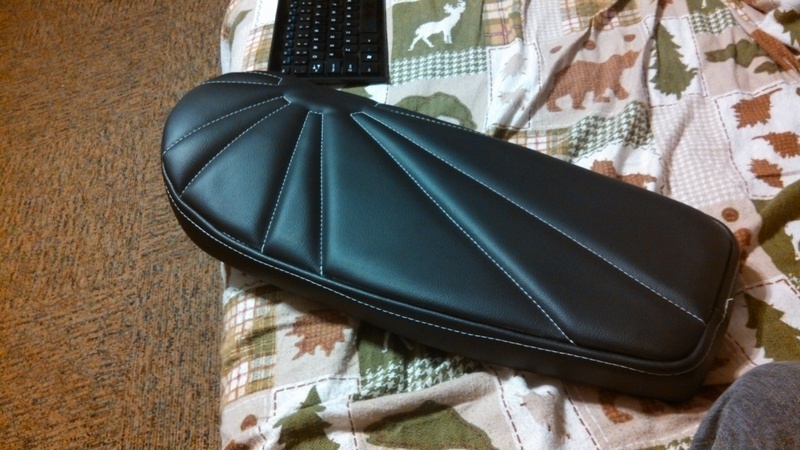 Step one was to cut up and stitch a new seat cover. Unfortunately I forgot to take good photos of the process, but after several hours on my mom’s sewing machine I managed to cook this up. This was my first attempt but it turned out half decent, I’m pleased. 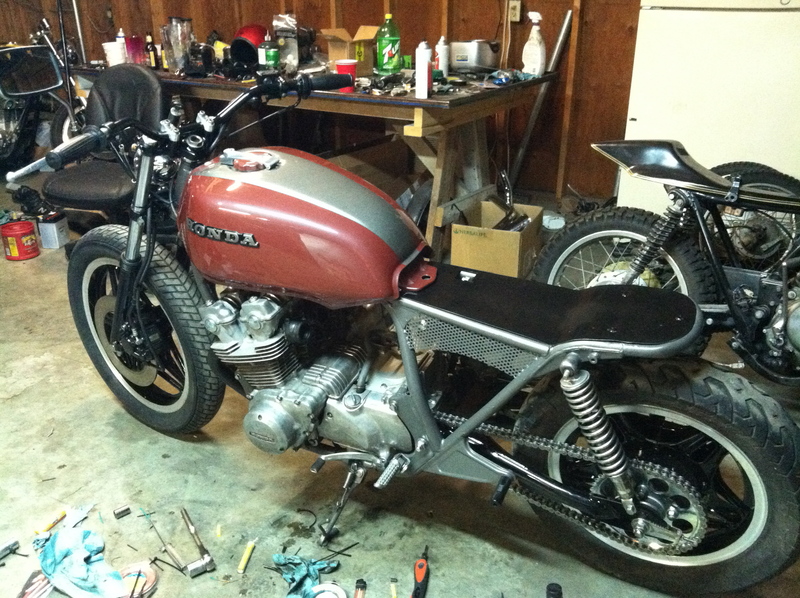 I think my next shot for the CB750 will look very passable. 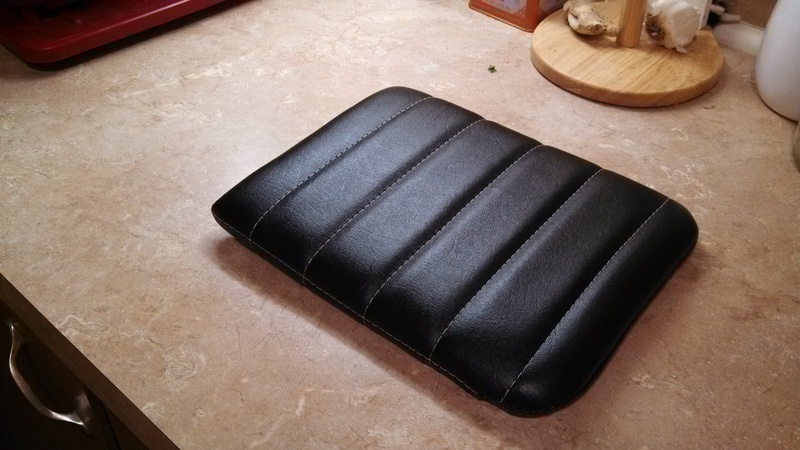 So after I finished sewing that I just cut out and glued some neoprene to the seat pan. 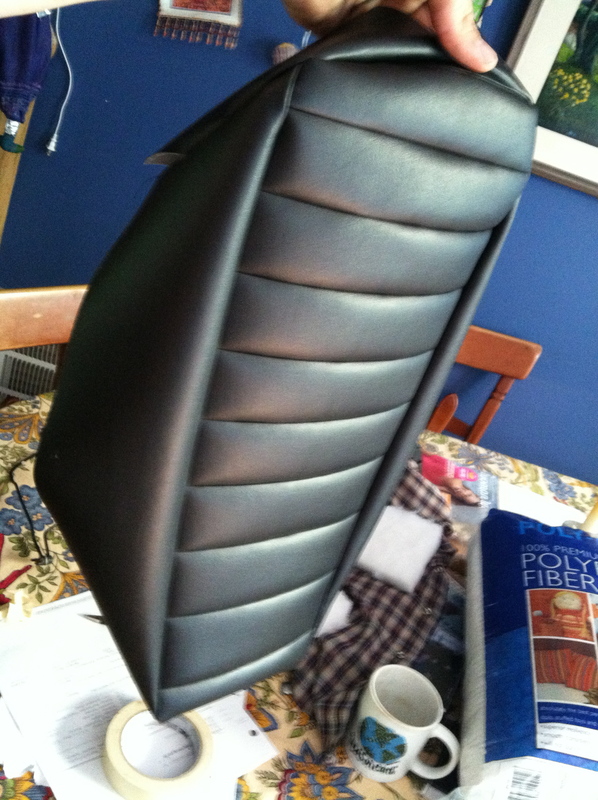 I then glued a layer of soft, thin foam on top of that for extra comfort and to keep the pleats puffy. 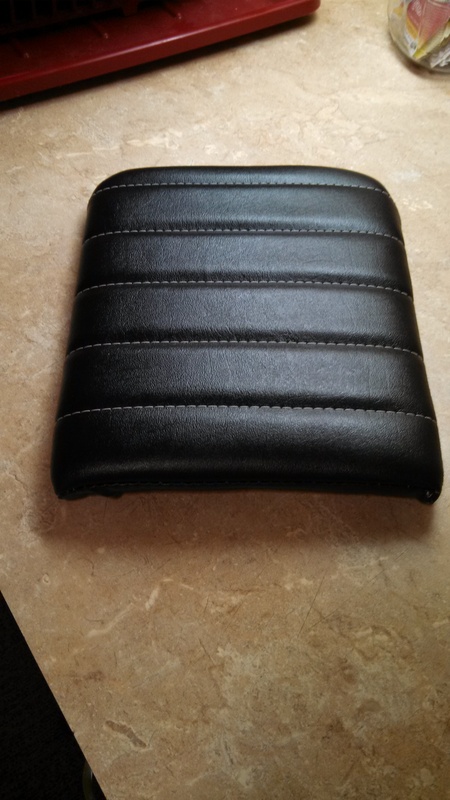 Here is the finished product after I riveted the cover on and re-installed it to the bike. 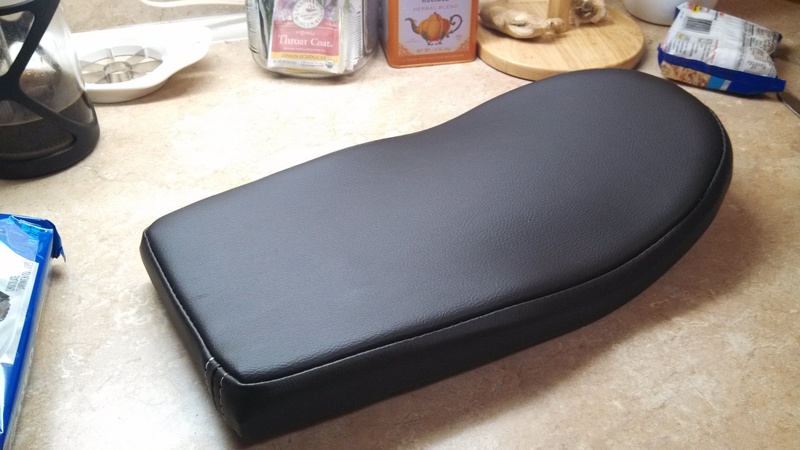 Note that I am still using the aluminum street sign seat pan I made for it originally! 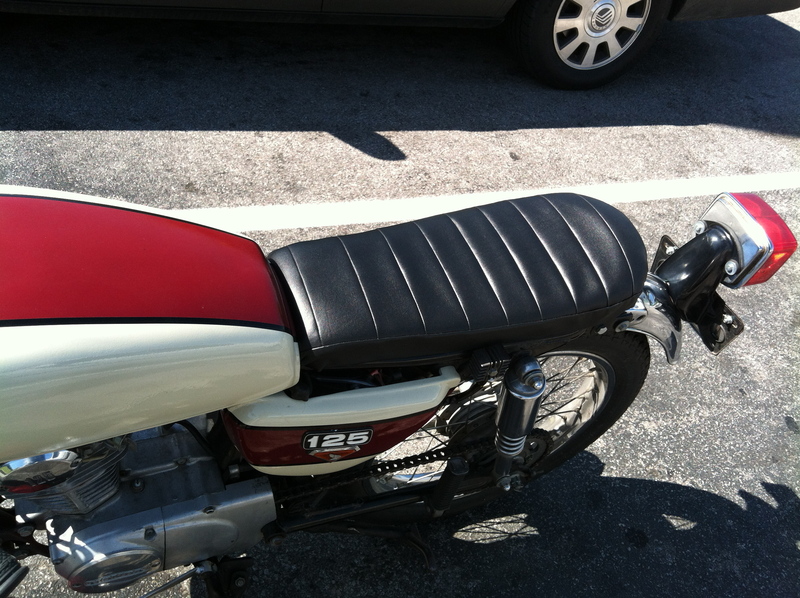 I’m going to document the CB750 seat upholstery job much better I hope. 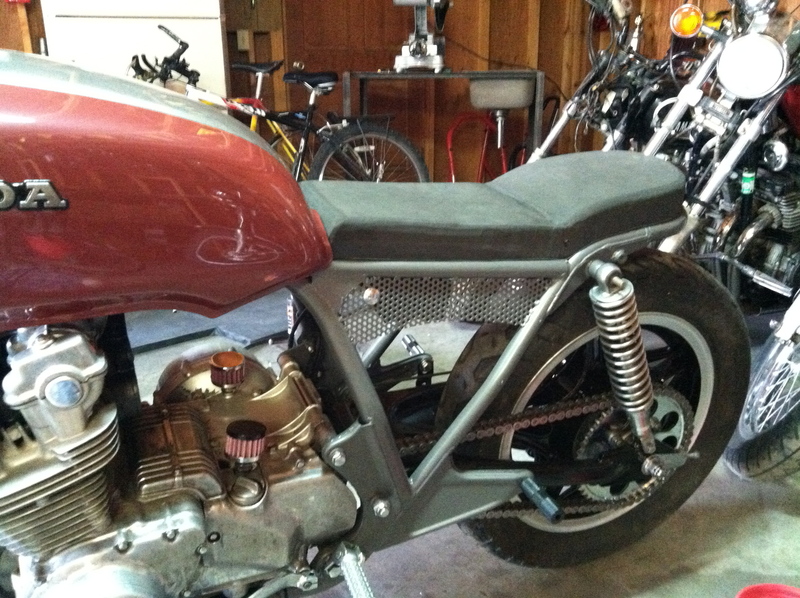 Next I am going to rebuild the front forks on this little guy!